Q-talk 113 - Proper Face during Crosswind Landing! You are here: Home Media Q-Talk Archive Quickie Builders Association Q-Talk Articles Q-talk 113 - Proper Face during Crosswind Landing! I once described a stressful landing I had into a stiff crosswind to the Q-list. Jim Patillo defended the ground handling abilities of the Q and argued that I must have not been holding my mouth correctly. 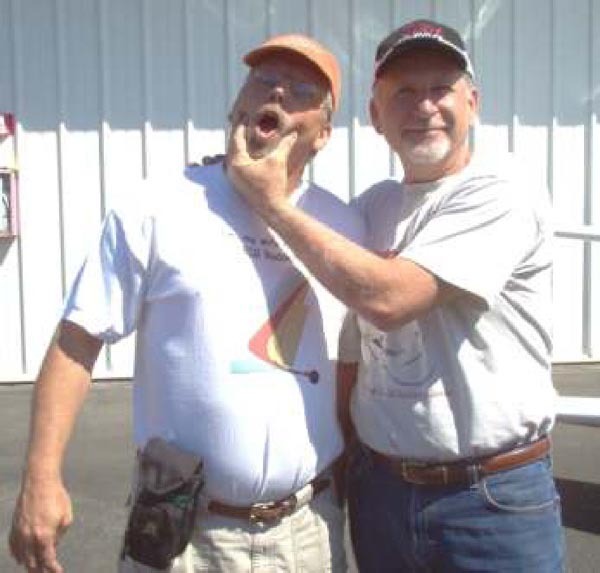 While attending the Livermore fly-in, Jim showed me the proper mouth position to use during my next crosswind landing. You can order a printed copy of Q-talk #113 by using the Q-talk Back Issue Order Page.